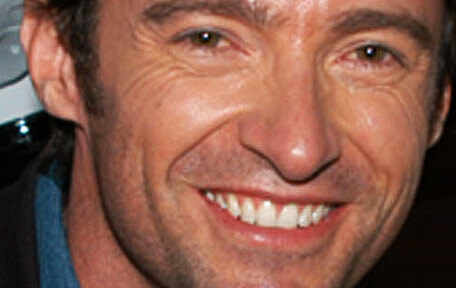 HUGH Jackman insists he's doing "good" after receiving his second lot of treatment for skin cancer last week. The 'Wolverine' actor - who also had cancerous cells removed in November - believes he's "fixed" after undergoing a procedure to remove a Basel Cell Carsinoma (BCC) from the side of his nose last Friday. When asked how he is doing following the treatment, he told PEOPLE.com: "My face? It's fine, it's good. Thank you for asking. I have a few stitches, I had a basal cell carcinoma taken out." Hugh has also urged his fans to protect themselves from the damaging rays of the sun and to get themselves seen by a medical professional as soon as they notice any abnormalities on their skin. He said: "Tell all your readers: get check ups, wear sunscreen. It's all about prevention." BCC is a treatable and common form of skin cancer signified by lesions or growths on the outermost layer of the skin that "often look like open sores, red patches, pink growths, shiny bumps, or scars" and are "usually caused by a combination of cumulative UV exposure and intense, occasional UV exposure, the Skin Cancer Foundation says. Although it generally doesn't spread, the organisation warn that it can be disfiguring if not treated quickly. The 45-year-old actor was first treated for the disease last year after wife Deborra-Lee Furness - with whom he has children Oscar, 13, and Ava, seven - urged him to get a "mark" on his nose checked out. He tweeted at the time: ''Boy, was she right! I had basil cell carcinoma.